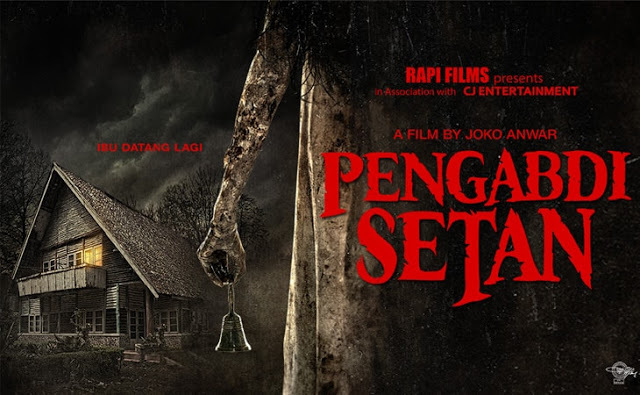 It’s no longer a secret that the sensational horror cult movie has gained success both in Indonesia and abroad. Adding on to the glorious journey of the movie, we’ve got news that Pengabdi Setan has just won an award at Overlook Film Festival. Published with the title Satan’s Slave for foreign viewers, the movie reached the most wanted award at Overlook Film Festival. So if you haven’t heard about it yet, Overlook is the most prestigious horror movie fest in the US. Satan’s Slave beat 41 competitors like Hereditary, Don’t Leave Home, and Upgrade. Board of jury consists of Jen Yamato (Los Angeles Times), Peter Kuplowsky (Toronto International Film Festival Midnight Madness Programmer), and Toby Halbrooks (producer for A Ghost Story). They agreed to put this Joko Anwar’s movie as Feature Film Jury Prize. The movie has gone places since its release in Indonesia back on November 7 last year. Gained 4.100.468 audience at the movie theatre, it is the highest grossing local film ever! And this 2018, as the movie being launched worldwide, it has become box office in Hong Kong and China. The movie is also introduced to Malaysia, Singapore and the US.